Smartphones are unarguably one of the most useful devices of the 21st century but one critical area smartphone makers haven’t given top priority is- battery life. You know the feeling when you don’t have the luxury of constant power supply and you are always reminded that you have 10% battery life remaining. 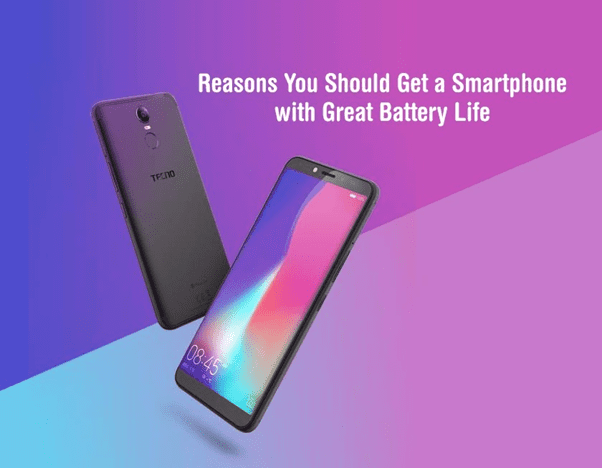 When it comes to mobile phone, power means battery life and as innovation in mobile technology increases, battery life has been one key feature smartphones users look out for when making a buying decision. Power is needed to do basic things in life just like our phones are fitted with batteries for us to enjoy them. Sadly not all smartphones can take us through 24 hours of usage, hence when making a buying decision, it is important you consider one key area- Battery Life. Nomophobia is what you get when you are plagued with a device that has poor battery life, we get so worry and in a quest to get rid of this, lot of people now carry power banks around to charge their phones. Whether it’s convenient or not. We all want convenient life but do you know that phones with terrible battery life can frustrate your life? How do you feel when in the middle of watching that epic movie or expecting that important call, and all of a sudden the unexpected happens- Battery Low!!! Very sad right? When your phone’s battery is low on power you can’t use the internet, you can’t make a call or do basic things with your phone, then what is the usefulness of super great smartphone with terrible battery life? You always think of ways to charge it, perhaps stopping off at a local coffee shop to hook up to a power adapter. Some people even switch the phone off occasionally to save battery to make an important call later. All these na stress oo. This needs no argument that the bigger your phone battery is, the longer the time you will use it. Nowadays, many people travel very frequently, either at work or for leisure. And for them, buying a bigger battery means having fewer worries about charging and the phobia that comes with frequency low power. Besides, many people who live in the rural area with no access to constant power will prefer a phone with long lasting battery. Also a phone with great battery life can make a whole lot of difference for people who play games, check out Facebook or news apps, and navigate through Google Maps, download, read and reply to emails and all manner of other things in addition to making cellular calls and sending text messages. If your phone battery is up to 5000mAh, you can use it to power other phones, thereby defeating the need for a power bank. You might have been wondering which phone has all of these features. 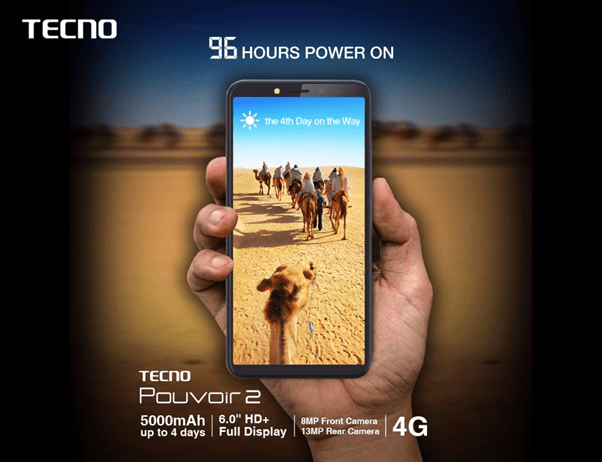 TECNO Latest Power Series, the Tecno Pouvoir 2 catches our attention with its amazing battery life, stunning 18:9 full view display and fast 4G internet connection. TECNO Pouvoir 2 combine aesthetics and great battery life that guarantee up to 4 days on a single charge. It is fitted with the most efficient 5000mAh battery ever despite having a slim and beautiful design. The device runs on the latest Android 8.1 Oreo, has 2GB of RAM, 16GB of onboard storage, Face ID and fast 4G internet connection. The TECNO Pouvoir 2 will retail for 46, 000 Naira in Nigeria and can be purchased in retail outlets across Nigeria.